Last week, The Lounge opened its doors in Seattle’s Capitol Hill neighborhood. Created by AT&T in collaboration with Danielle and David Hulton — small business owners of Ada's Discovery Café — the 3,000 square-foot hub is one half retail store and one half coffeehouse/hangout space, serving coffee brewed by programmed robots to ensure an experience that cannot be replicated. “We have a super-fast network in The Lounge so people can work remotely, stream their favorite content, or just relax and drink coffee. What makes this space so unique is a design and layout that embodies the Capitol Hill neighborhood, the collaboration with a local small business, Ada’s Discovery Café, and an innovative digital shopping experience,” said Danielle Hulton. Additionally, The Lounge offers a never-before-seen shopping experience when it comes to AT&T stores, and implements innovative technology including a digital catalog and a custom shopping app as well as secure lockers for shoppers within the space. “We picked Seattle to launch this concept because consumers here love great coffee and new tech gadgets” said Morgan Collins, Vice President and General Manager of Pacific States at AT&T. 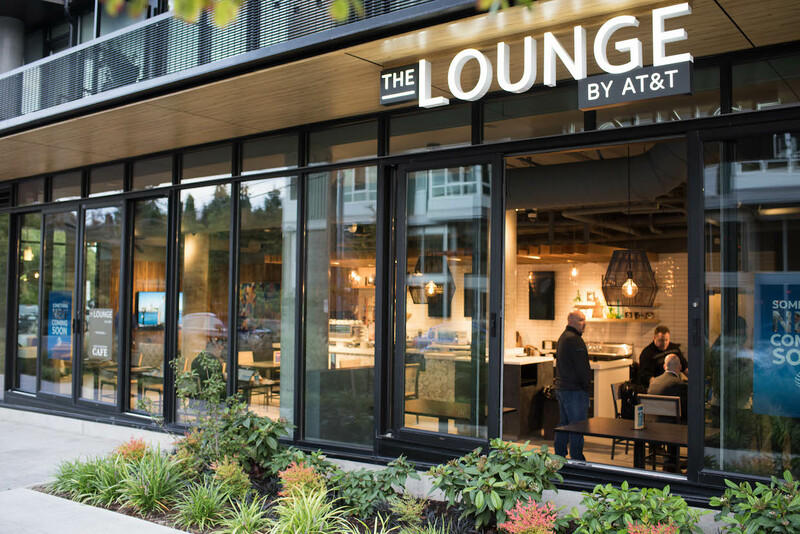 “This market is creative, adventurous, and tech-savvy, so we’re evolving as our customers’ interests and preferences evolve.” The Lounge serves as one of AT&T’s company initiatives toward investing in its networks, retail footprint and workforce in the greater Seattle area. Learn more about The Lounge here.